Another great bachelorette party idea is booking a trip to an All-Inclusive Resort on a Caribbean island. This means all your drinks and meals are included in the price, so there is no additional expenses (unless you want to tip, book an excursion, buy souvenirs, or book spa treatments). The problem with picking a resort is there are so many of them at each destination. Trying to find the perfect resort can be both frustrating and time consuming. 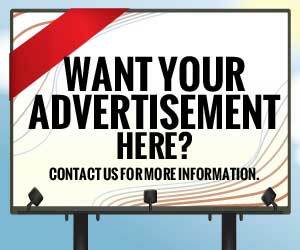 Since we know your time is very valuable, we decided to do most of the work for you. After reading many travelers reviews and star ratings, along with the resort amenities, we came up with a list of the best all-inclusive resorts for a bachelorette party. Now, the only thing left is picking the destination and booking it. What is an All-Inclusive Bachelorette Party? This is a great question and one that will actually require you to do some research on the resort. Generally, all-inclusive resorts mean that the room, the meals, and unlimited beverages are included in one set price. This set price usually includes the use of regular resort amenities and some activities at the resort, but does not include the price of add-ons. What are typical add-ons that are not included in the price? Again, it depends on the resort, but generally things like snorkeling trips, any excursions out of the resort, and spa services are all extra. In addition, some resorts will also charge you for premium alcohol, Wi-Fi, or even for any alcohol at all. Because there is no regulation about what “all-inclusive” means, you want to make sure and read any and all fine print before you travel, to make sure and avoid any nasty surprises! However, do not take that as a negative for all-inclusive resorts. Many of them are located in gorgeous areas where there really is no need to pay for excursions out of the resort or for any extras. The very best deals in all-inclusive resorts tend to be located in the Caribbean, and their beachfront access and the usual inclusion of non-motorized watersports, including snorkeling equipment, in resort fees means that you will have plenty to do without feeling the pressure to spend any extra money! If you have a little more time for travel or a little bit more of a budget to spend, think outside of the Mexico and Jamaica box and consider Turks and Caicos for your bachelorette party destination. You will fly into Providenciales (PLS Airport) and you can find surprisingly affordable prices if you book ahead using a service like Expedia.com. Though there are plenty of newer resorts on Turks and Caicos, we still love Club Med’s Club Turkoise. There is a reason that Club Med is considered one of the real founders of high-quality all-inclusive entertainment, and that is because Club Med does all-inclusive right. With a wide variety of activities, high-quality liquor, and great food, you can feel confident that you will have a great vacation for your all-inclusive price. Yes, some of the activities at a Club Med resort can feel a little silly, and unlike some of our other bachelorette party favorites, you may encounter children at the resort, but you are virtually guaranteed a great time! If you decide to head to Mexico for your bachelorette party, there are basically 3-4 parts you want to focus on. The areas that tend to be the most popular amongst tourists are Cancun, Playa Del Carmen, Playa Mujeres, Cabo San Lucas, and Tulum. 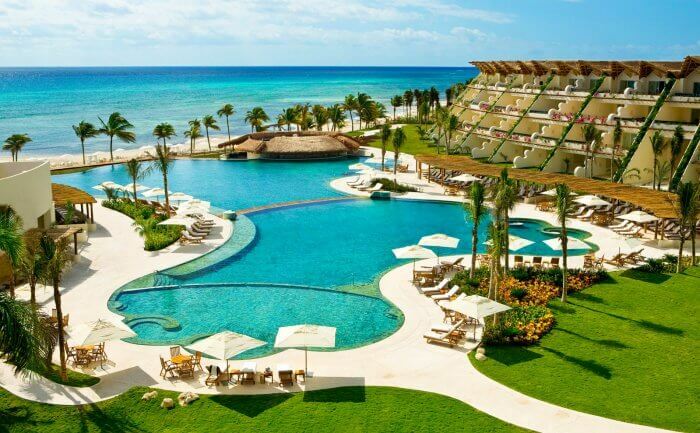 Cancun tends to have the most affordable prices with Tulum being much pricier. For all of these destinations, the airport you will be flying into is Cancun International Airport. If you are looking for cheap flights, we recommend Orbitz.com. 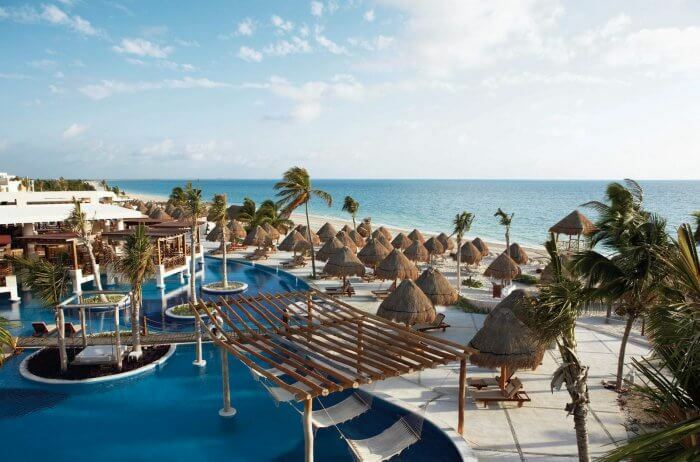 Below are our picks for the best all-inclusive resorts in Mexico. Excellence Playa Mujeres is an excellent choice. Located about 40 minutes from the airport, this all-inclusive resort features all suite rooms from junior suite up to a 2-story room with rooftop terrace and plunge pool. If you want to splurge a little more do the Excellence Club which gives you upgraded rooms, private check-in, private lounge, internet access, upgraded liquor and private pool. Expect to pay rates of $646 per night per couple and $778.00 for the Excellence Club. Grand Velas Riviera Maya – You can’t go wrong with this option. Also located about 40 minutes from the airport, this is another all-suite all-inclusive experience in Mexico. If your group is foodies, you will love the 8 different restaurants on site, each with a different theme. Since you will most likely want to be away from kids, you should opt for the Grand Class, which is a little more money, but no children are allowed. This place oozes class which is why you will pay $2200 a night per room during peak season. If you decide to head to Dominican Republic, you should book a resort in Punta Cana. 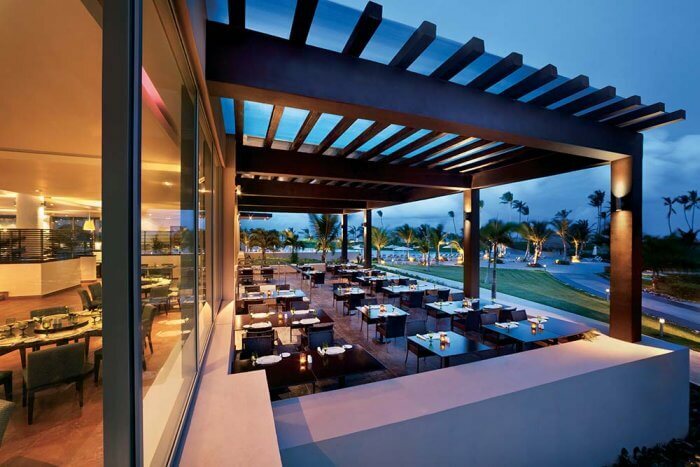 Although Puerto Plata has some great options as well, the all-inclusives are much more luxurious in Punta Cana. The Punta Cana Princess All Suites Resort and Spa is one of our favorite all-inclusive resorts in the Dominican Republic. This 5-star resort is adults only, which means that you can get wild and crazy for your bachelorette party without worrying about corrupting any youth that might happen to be around! It is known for having a real party atmosphere, especially around the pool, and is a great choice if you want your bachelorette party to have that party vibe. Never fear, though, there will be options for some quiet R&R if you need to step away from the fun and do a little recuperating. You can head down to the beach, get a day bed, and get your drinks delivered by one of their friendly servers. This resort has beachside butler service, an included discoteque, an introductory scuba lesson in the pool included for each guest, and daily organized activities included in the price. 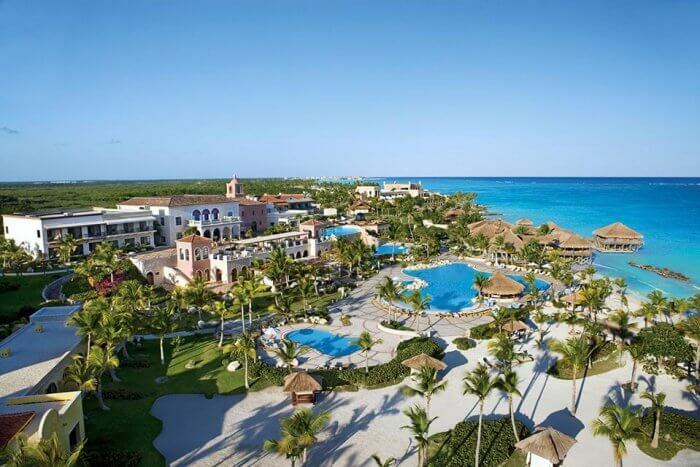 Sanctuary Cap Cana – If you are looking for an elegant, amazing, and relaxing resort this should be on your shortlist. Not only are the grounds absolutely stunning, it’s only a short 15-minute ride from Punta Cana Airport. They have all suite rooms which range from junior suites, to castle suites (yes, these rooms are in a castle they built). If you have a larger budget you may want to look into the Castle Island Suite, which includes two bedrooms, two and 1/2 baths, and three indoor plunge pools. For dinner we recommend going to the Steakhouse as the food parallels that of a fancy steakhouse in the U.S. Throw in some top shelf open bar and there is no way you won’t have a good time. We will warn you in advance that this is a relaxing resort not a party resort, so don’t expect a spring break pool scene or foam party. For their basic suite expect to pay around $520 per night during season. 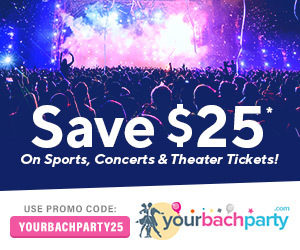 Hard Rock Hotel – Remember this is your bachelorette party, so if you are looking to have one continuous party all weekend long, you must choose the Hard Rock Punta Cana. Located about 30 minutes from their airport, this resort is huge (121-acres). Whether you are enjoying drinks at their swim up bar, or just relaxing with a glass of wine in the jacuzzi in the middle of your room, there are so many reasons to say yes to this resort. It features 13 different pools (one being adults only), a beach for lounging out, an on site spa, and 12 different eating options (9 restaurants) around the resort. Throw in unlimited drinks and 24-hour room service, this will be hard to cross off your list. You can either opt to walk this massive resort or you can take the complimentary tram. Prices will run you about $380 per night (for two people) in their standard junior suite during season. Chic by Royalton – This is another one you should add to the list. Around a 34 minute ride from Punta Cana Airport, this great modern adult only resort features two pools, private cabanas, 9 dining options, sports bar, spa, casino and nightclub. You can stay in their standard rooms or elevate your ladies weekend by paying additional for the diamonds club, or booking rooms in the Chic Mansion (which includes a total of 6 rooms and is 11,500 square feet). Expect to pay $1300 per night for double occupancy during peak season. If you decide to head to Jamaica for your bachelorette party, you should opt for either Montego Bay, Ochos Rios, or Negril. Regardless of which one you choose, you will most likely be flying into Montego Bay (airport code: MBJ) as that offers the most flight options and is only a short ride to all destinations. The Iberostar Grand Hotel Rose Hall is one of three all-inclusive Iberostar resorts in Montego Bay, it is usually considered superior to the other two, because, while the resorts all share some common properties, it is the only one that gives you full access to all of the resort amenities at all three properties. The rooms at this hotel are all-suites, alcohol is included in your all-inclusive prices, and you have plenty of bars and pools to choose from for your stay. You can also choose different packages to customize your stay including: golf, gastronomy, and yoga and wellness. Zoetry Montego Bay – This 49 suite resort is an 11-minute drive from the Sangster International Airport, situated right on the Caribbean Sea and surrounded by some of the most beautiful ecological grounds. 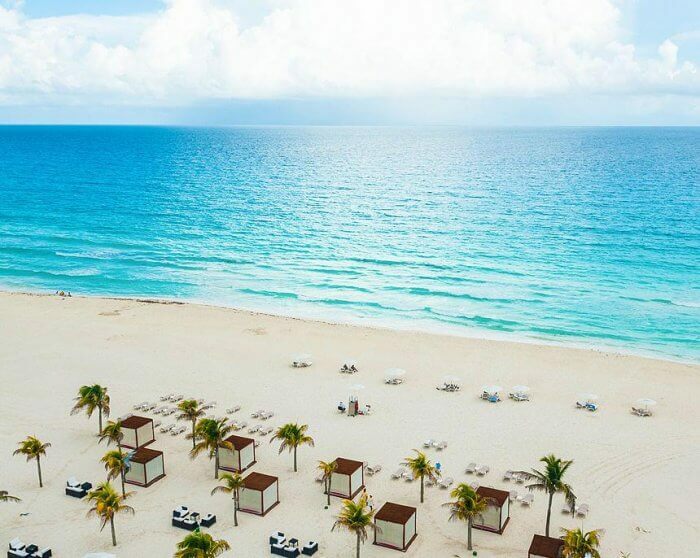 This resort features gourmet dining, unlimited top-shelf alcohol, amazing waterfront suites, and a wellness spa. For room option you should go with a junior suite swim out, so you can float from your room to the main pool. Make sure you check out Jerky Jo’s for some amazing jerk chicken and pork and Aroma Cafe for your morning coffee. Expect to pay $561 per room (double occupancy) per night. 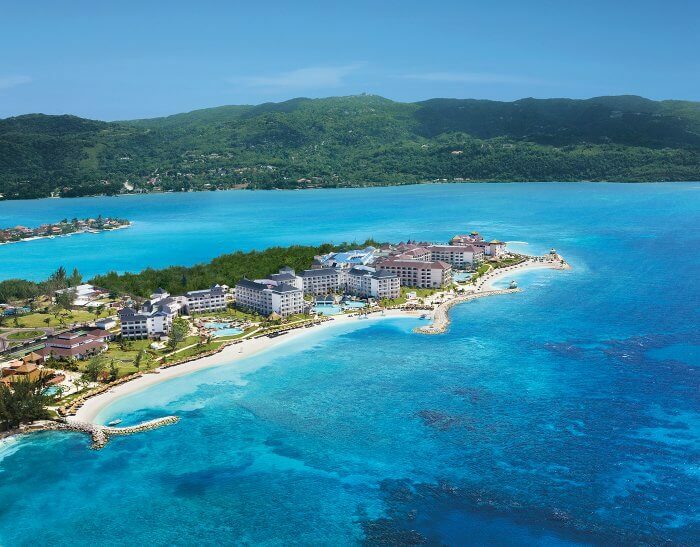 Secrets St. James Montego Bay – Is another option you simply can not go wrong with. This resort located about 8-10 minutes from Montego airport, has 8-different room options from Junior Suite to Presidential. You should also look into the Preferred Club as it offers a bunch of upgrade options along with 10 different dining options as well as access to other nearby resorts they own (so even more dining, drinking, and partying options). 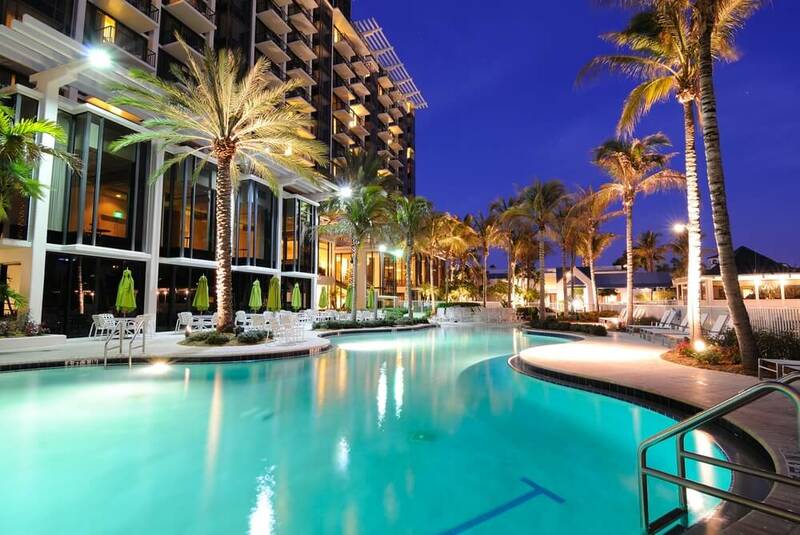 Your group can indulge in unlimited top shelf spirits at the swim up bar or join in a yoga session on the beach. They also offer private airport transfers so you can hop off your flight, grab your bags, and head to the resort to start your vacation. A room with double occupancy should cost about $678 during peak season. 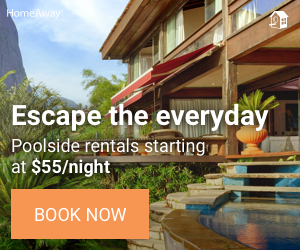 If you decide to head to Costa Rica for your ladies weekend, you should look into either Manuel Antonio, Los Suenos, or Papagayo (located in Guanacaste). 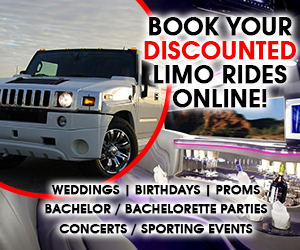 If you opt for Los Suenos you will fly into San Jose Airport and take a 1 hr and 30 minute van ride to the resort. 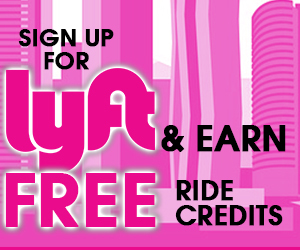 If you opt for Manuel Antonio or Papagayo, you will be flying into Liberia Airport (airport code: LIR) and take a 20-minute ride to the resort area. Secrets Papagayo Resort – This adult only resort is located directly on the beach and surrounded by tropical gardens. They offer 9 different room options, which can also include their Preferred Club (upgraded rooms, amenities, etc.). It also has six different dining options with “Himitsu” as a favorite amongst visitors. The resort also features several parties ad theme nights (such as a karaoke party, and beach party). You can also opt for a water aerobics class, beach volleyball, and even group cooking lessons. For double occupancy rooms go for $1078 during peak season. While it might seem like any vacation in the Caribbean practically guarantees a great time, it is important to keep in mind that no matter where you travel tourists are likely to be targets for criminal activity. This is true even if you are traveling to an all-inclusive resort that has a great reputation. So, even while you are relaxing, make sure and pay attention to your surroundings, use the buddy system, and report any suspicious activity to your resort and local police. Jamaica has a known sexual assault problem and the local police lack the resources to respond to the crimes. If you travel to Jamaica, it is important to use the buddy system and to avoid secluded places or situations, even if you are on resort property or with resort staff. Mexico is known for having high-crime in certain areas. While the resort areas generally have lower crime rates than outlying areas, criminals are known to target tourists and some of the all-inclusive resorts experienced a problem with tainted alcohol. Now that you have read this article we hope you will have an easier time booking an all-inclusive resort for your bachelorette party. We recommend booking your trip package (which includes resort and flights) through a reputable company like Orbitz.com. We also recommend that anytime you are booking an expensive vacation you purchase travel insurance as well, to protect your investment, should an emergency situation arise. Now, all that is left is to put together all your things to pack and head to the airport. Have any other amazing resorts to add to our list? Leave them in the comments below or on our forums, so that other bachelorettes can see.